Escape into gorgeous Himalayan mountains from Kathmandu for an action-packed day of bungee jumping in Nepal. You'll wait on the bridge with bated breath and when the time comes, you'll step into the safety harness as an expert adventure guide tells you all that you need to know before jumping. When you're ready, you'll spread your arms sideways and take the jump of a lifetime, plunging into a free fall of over 500 feet over the Koshi River. NOTE: Prices displayed are for travellers from the Indian sub-continent. Foreign travellers may be subject to a premium. The activity site for your day adventure of bungee jumping in Nepal is located near the deep gorges of Listikot. Despite being easily accessible via a 3-hr drive from Kathmandu, the site is located amidst dense and remote wilderness, along the Koshi River. The bridge for the bungee jump is located over 500 feet above the Koshi River gorge, surrounded by alpine forests of pine and oak. From the top of the bridge, right before you plunge into a hair-raising adventure, you can catch calming views of mountains as far as the eye can see. This day adventure package also includes travel arrangements between Thamel, Kathmandu and the Listikot activity site, as well as a buffet lunch. • Experience the thrill of bungee jumping in Nepal. • Catch beautiful views of mountains and forests all around you. • Go on a thrilling day trip near Kathmandu. Travellers are required to follow instructions of the adventure guide during the bungee jump in Nepal. For cancellations made more than 2 days before the Nepal bungee jumping trip: 85% refund. 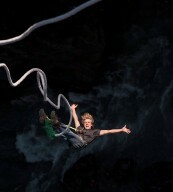 For cancellations made between 1-2 days before the Nepal bungee jumping trip: 50% refund. For cancellations made less than 24 hours before the Nepal bungee jumping trip: no refund. All refunds will be processed after deducting a transaction fee. Please check with us what the transaction fee will be for this trip. A minimum of 15 participants are required to operate the bungee jump or giant swing bridge. If you're booking your adventure on a weekend, you'll most likely be grouped with other participants, fulfilling the minimum requirement. If you're booking your adventure on a weekday, please confirm availability with us before making the booking. For bungee jumping, travellers are required to weigh between 45-100 kgs. The tour operator takes utmost care to ensure safety of the travellers and shall not be held responsible for any mishap or accident during the bungee jump in Nepal. Arrive at the tour operator's office in Thamel, Kathmandu by 05:45 or 07:45 hrs in the morning. The exact time will be confirmed with you a day prior to the activity date. From here, you'll travel to the activity site in a bus. A 3-hr ride later, you'll reach the activity site and have a short briefing. Over the next few hours, you'll wait for your turn, prepare for the activity, wear the safety harness and undergo safety checks before making the big jump from the bungee platform. After your activity, you can spend some exploring the gorgeous landscape by the Koshi River. At an additional cost, you can also book other adventure activities like rafting or canyoning. By 17:00 hrs, you'll board a bus and travel back to Kathmandu. Subject to traffic conditions, you'll arrive in the city by 21:00 hrs. Your trip ends here. Jump from a 500 feet tall bridge over the Koshi River. Report at the tour operator's office in Thamel, Kathmandu by 05:45 or 07:45 hrs. You will travel to the activity site by bus and participate in bungee jumping. Today's meal package includes a buffet lunch, served between 12:00-13:30 hrs. You'll depart from the activity site by bus at approximately 17:00 hrs, and reach Kathmandu by 21:00 hrs, subject to traffic conditions. Your trip ends here. The tour operator will arrange your transport to the start point of the Nepal bungee jumping trip.